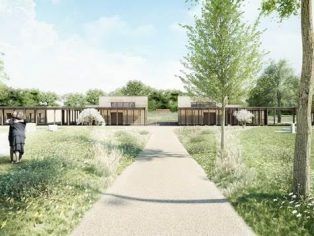 London-based architecture studio Waugh Thistleton has unveiled the final designs for Bushey Cemetery, a scheme for United Synagogues. The development has recently started on site and today the practice has released images and a fly-through video of the updated scheme. Rammed earth allows for a strong and durable structure that is simple to construct and thermally massive – meaning that the space will store heat in the cold and stay cool in the summer. 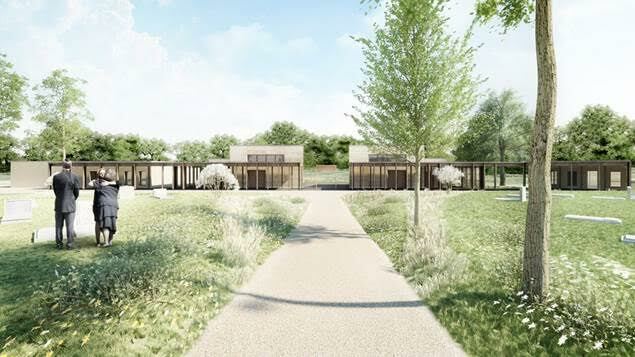 Waugh Thistleton’s plans also include two service buildings that will be created with a timber structure and finish. The landscape surrounding the religious buildings will be designed as an ecological response to the site’s Greenbelt location. Plans by landscape architects J and L Gibbons include swales, weirs and ponds. Bushey Cemetery will be created in collaboration with engineers Elliott Wood. The development originally received planning approval from by Hertsmere Council in 2013 with completion scheduled for 2017.